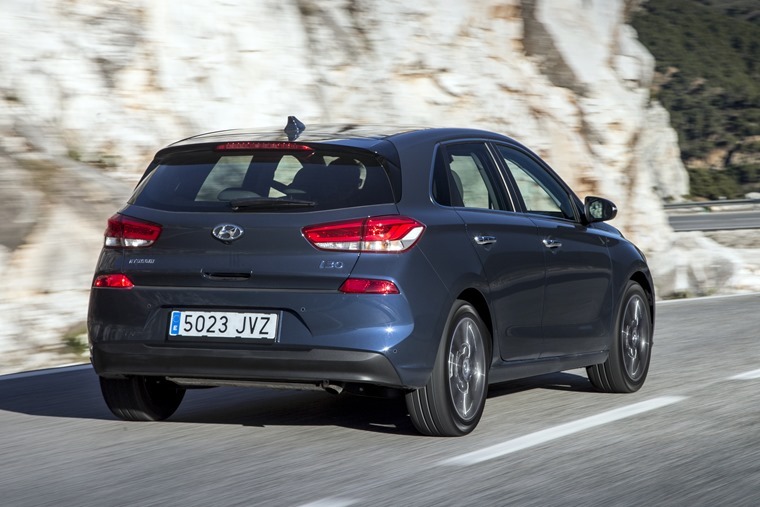 The outgoing Hyundai i30 was never the most exciting car, always struggling to make up ground in a vibrantly active segment filled with extremely capable competitors – with choices ranging from the Focus and Astra, premium options from Lexus and Audi, and high-quality budget choices from Fiat and Kia, it struggled to find its niche audience. That was then, and is something Hyundai are hoping to address in this new model, a car that Hyundai is calling its ‘DNA car’. At first glance, the i30 isn’t off to the strongest of starts. The bodywork is reminiscent of many of its competitors - the back end looks a little like a Golf, there’s bits of Peugeot 308 in its profile, and hints of Fiat’s Tipo even seem to appear in places. The quality of the trim throughout it excellent, with every touch-point is covered in something surprisingly high quality. 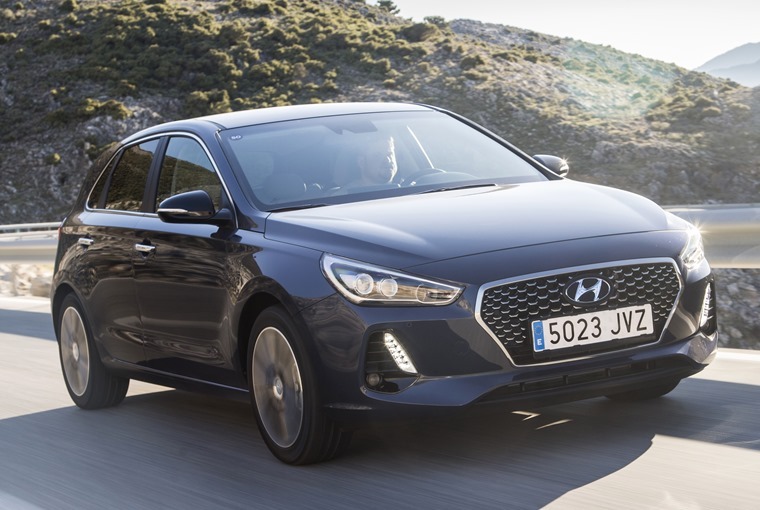 The grille is meant to resemble a pair of cupped hands, each cradling the Hyundai badge that sits proud in the centre, and that’s something that will grow in prominence in later models, but for now it looks rather like a traditional grille to us. All that said, the car looks far better, if not exactly distinctive, in the metal than it does in any of these photographs. 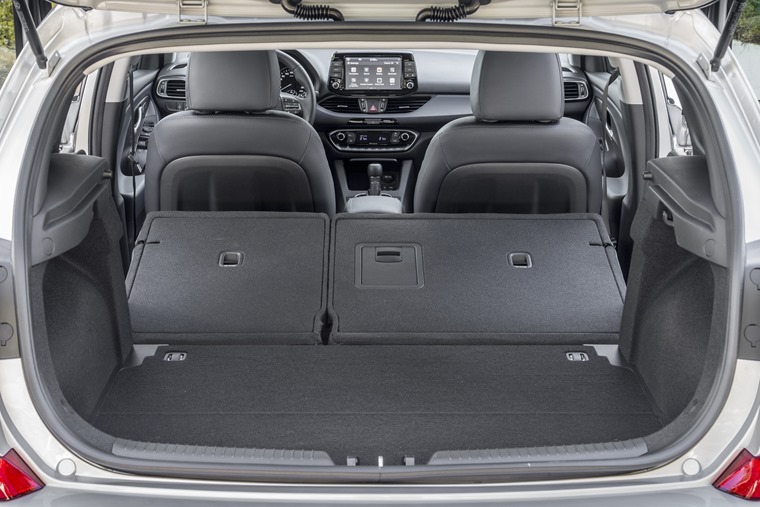 When it comes to the interior, the available space has grown up nicely, with plenty of space for even the sturdiest of passengers while a boot that offers 395-litres of storage puts it ahead of the Volkswagen Golf. The quality of the trim throughout is excellent, with every touch-point covered in something surprisingly high quality - there’s expensive, smooth plastics and plenty of leather dotted around this top-spec model’s cabin. And there are plenty of toys to keep you entertained too. 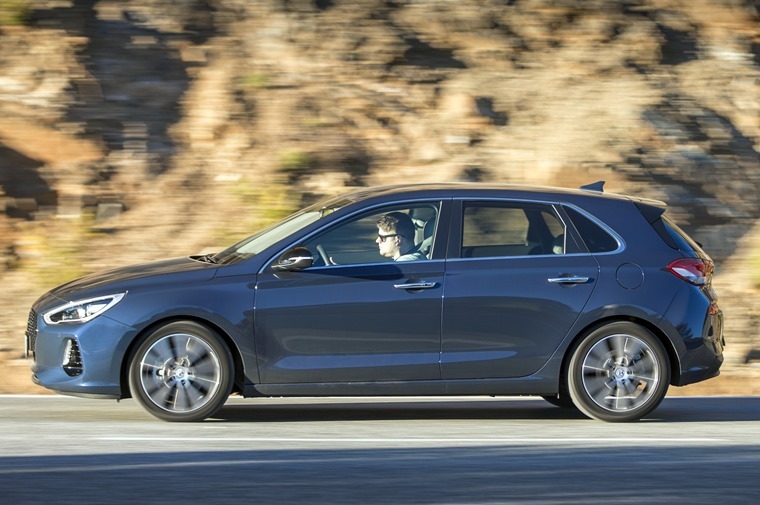 Even the entry level model gets air conditioning, automatic headlights, cruise control and a digital radio, while moving up the grades adds luxurious extras such as heated seats, LED headlights, a panoramic sunroof, and an excellent eight-inch infotainment screen. There’s plenty of safety kit too, with autonomous emergency braking fitted as standard across the range, alongside lane keeping assist, driver attention alert and, unusually at this level, high beam assist. Anything else you might require is also available as an option, so you can easily ensconce yourself in a high-tech safe house should you wish. In contrast to the equipment levels, there’s a rather spartan number of engine options, but Hyundai has chosen well and ensured there’s something for nearly everyone. That means petrol options range from a 1.4 litre producing 99bhp to a 1.6-litre that provides 118bhp. This test model is fitted with the only diesel option, a 1.6-litre unit which should produce 109bhp but in a bit of a head-scratching masterstroke of planning, this particular car has the 139bhp engine that we won’t be getting in the UK. It does most things really rather well, and by taking cues from some of its biggest competitors has clearly been designed to compete with the best in class. The engine is smooth, reasonably quiet and, with a strong torque figure of 237ft lb, flexible enough to make driving easier than being voted in as US president. That’s helped by controls that are light, handling that is entirely benign and a gearbox (either six-speed manual or seven-speed automatic) that is smooth and precise. It also promises good economy, with an official figure from the 109bhp spec of 74.3mpg. All that focus on making life easy means the i30 isn’t a car that encourages being hustled around enthusiastically - there’s really no feel through the oddly weighted steering, a system that has three options from eco to sport, but each just adds various degrees of artificial feeling weight. 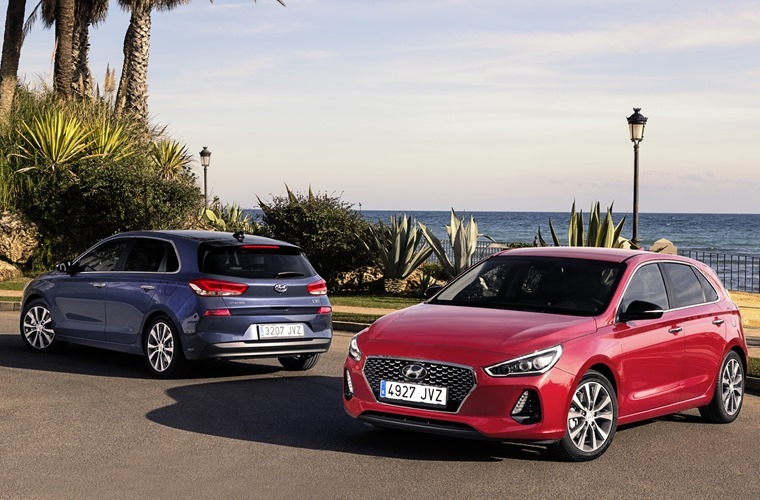 It leaves you feeling as if there isn’t much grip from the front of the car, but the reality is that the Hyundai can be pushed far harder than you might expect, something that will be reassuring if circumstances turn unexpected rather rapidly. Ride quality is impressive though, with all but the most inconsiderate of bumps in the road disappearing beneath the car with nothing more than an audible thunk. That thunk interrupts the serenity of the cabin, which is remarkably quiet while cruising. This will, undoubtedly, be a relaxing motorway drive. In fact it does most things really rather well, and by taking cues from some of its biggest competitors has clearly been designed to compete with the best in class in each and every area. This all makes it an easy car to recommend. It ticks every box that needs ticking - build quality (with a five-year warranty to back that up), space, refinement, equipment levels, comfort, safety, economy, and so on are all right up towards the top of the charts, making it objectively brilliant. Sadly, by borrowing from all of its competitors, it makes it all the more disappointing that Hyundai has missed out on adding any kind of character of their own to the car as, despite it’s obvious talents, many will simply overlook it as a tad bland and fail to see the delights that it holds.